On Sep 19th, Our America customer Julie and Sonic visited us. The main topics we discussed the flexible circuit board and assembly (PCBA). 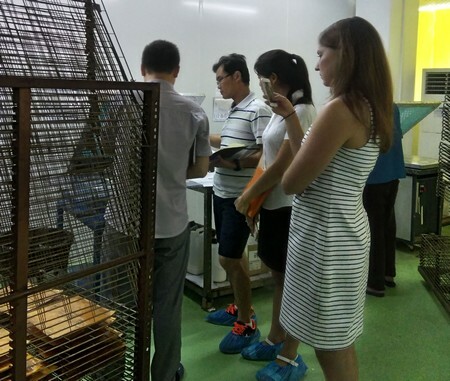 Firstly we do a sample introduced for whole FPC production process to Julie and sonic. 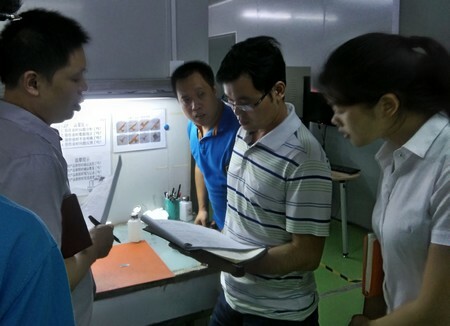 During our production, we are strictly carry out all the production process conform with ISO9001:2008. From the FPC raw material IQC incoming quality inspection, warehouse material management (first in first out management principle), the standard operating procedure thru production process: from flex circuit board raw material (Polyimide) cutting, drilling, lamination, stiffener/adhesive tape assembling, silkscreen, IC programming, trace & via opening & shorting and function testing, to final flex circuit board out-going inspection. and tooling hole punching for flexible circuit board. 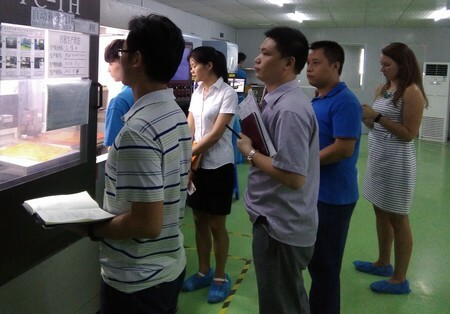 After FPC production line tour, Julie and Sonic advice some comments for their 2 layers flex circuit board which with impedance control design-in. 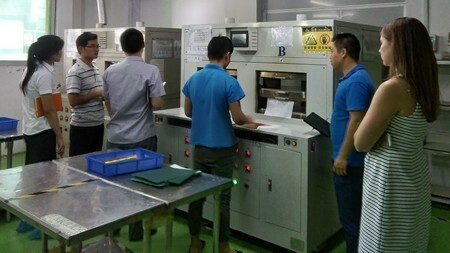 With their good suggestions, we know how to make improvement for the flexible printed circuit board production process and the documentation control in future flexible board manufacturing. By this visiting, both Julie and us know much more of each other and believe there’re lot opportunities for flexible circuits in come future.